What more can be said about this classic than already has? I first read this at 13, and all these years later, I find I still adore it as I did then. I don't have a favorite character, as I like them all evenly for their differences. 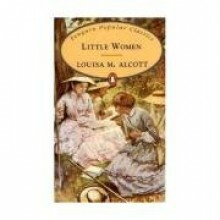 http://booklife4life.booklikes.com 2.5 Review: Little Women!